Here at High Desert Carpet Cleaning, we take great pride in our work, reputation, experience, education, systems, and guarantee. We are an STRONG certified firm, the country’s elite body of certification for dry organic carpet cleaning and hold multiple cleaning technician certifications. In addition, each of our technicians are bonded and insured. You can depend on us for exceptional dry extraction carpet cleaning, area rug cleaning, pet stain and odor treatment, carpet protector application, upholstery cleaning and carpet repair services. 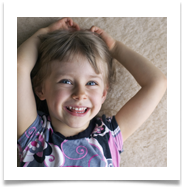 We are pleased to offer the state-of-the-art dry extraction carpet cleaning process featuring “No Wet Carpets”, “No Harsh Chemicals”, and our “30 Day Clean Carpet” guarantee. It’s the new, better, safer way to clean carpet! We provide area rug cleaning on site by using the most advanced processes available to thoroughly clean your rugs and remove any dirt, stains, or odors. 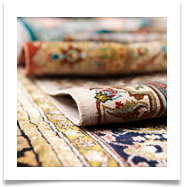 We are equipped to properly care for all types of area and oriental rugs, giving them the specialized care and attention they deserve. We love pets. Unfortunately, as much as we love our pets, they can be your carpet’s worst enemy. When your pet leaves their mark on your carpet give us a call. We have the expertise, products and equipment to remove those spots and odors for good. 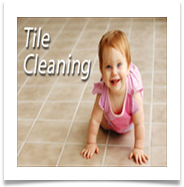 Every home and business owner knows that tile and grout are notoriously difficult to clean. Regular mopping, consumer tile cleaners and home grout cleaning methods sometimes just don’t do the trick, especially if you’re trying to eliminate stubborn dirt that has settled on tile surfaces or deep into grout lines. When what you’re doing just isn’t good enough anymore, we’ll come to the rescue! We can boldly go where household mops and tooth brushes have never gone before! Upholstered furniture, just like carpeting, is an investment that can deteriorate in looks and value without proper cleaning and maintenance. 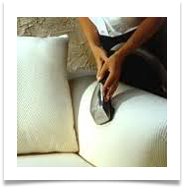 While you can most likely do a good job take care of the occasional spot, spill or stain with a household upholstery cleaner, we address the deep cleaning that will prolong the life of your furniture.